The Dapper Dans have been a fixture at the Magic Kingdom since opening day in 1971. 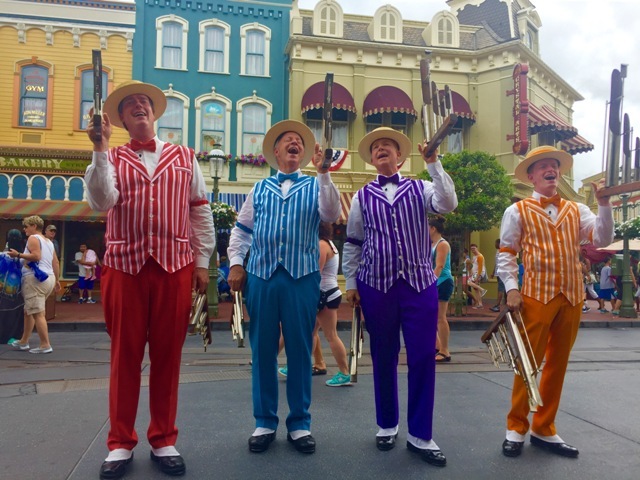 The barbershop quartet entertains up and down Main Street with various numbers. 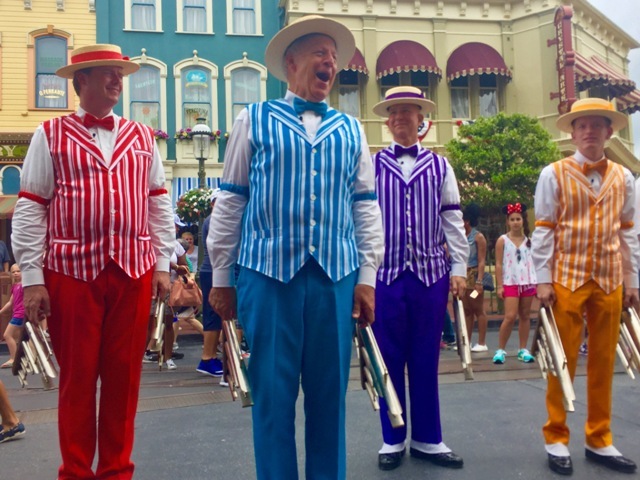 The group's schedule is sometimes on the Times Guide you can pick up in the park, and the Dans can often be found in the Main Street Trolley Parade and the daily Flag Retreat.